One of today's hottest teen love team, Kathryn Bernardo and Daniel Padilla (KathNiel by their fans) are so sweet on the cover of Inside Showbiz magazine October 2012 issue! 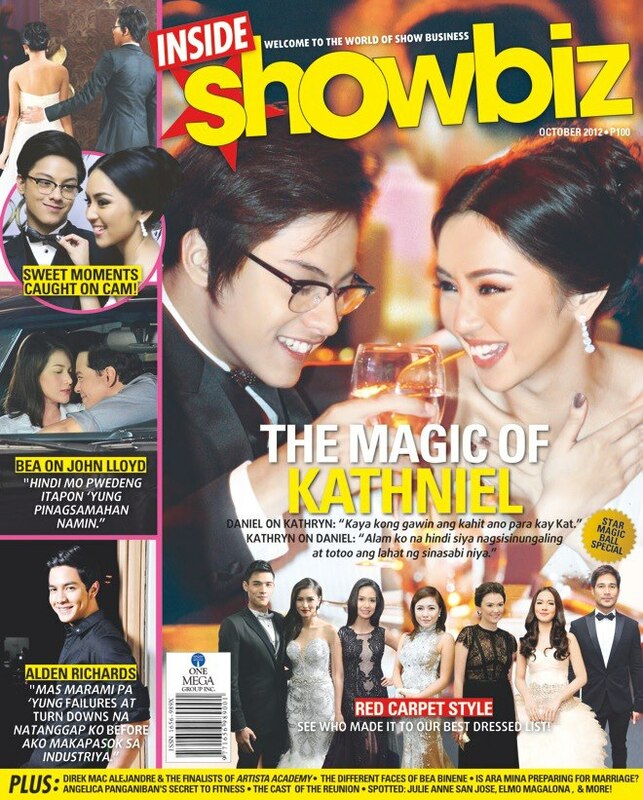 Aside from the KathNiel loveteam, Inside Showbiz October 2012 issue also features Bea Alonzo and John Lloyd Cruz, Alden Richards and the Best Dressed Kapamilya stars during the recently held Star Magic Ball. All these and more in the latest issue of Inside Showbiz magazine! Make sure to grab a copy now to see the full features.